The President of the Republic of Uganda and Commander-in-Chief of the Uganda Peoples’ Defence Forces (UPDF) H.E Gen Yoweri Kaguta Museveni has commended Local Defence Unit (LDU) trainees for being a disciplined and trainable force that managed to acquire the basic military skills and knowledge within a short period of time. President Museveni made the remarks as he officiated at the Pass-Out of LDU trainees of Intake 02/2018-19 at Kaweweta Recruit Training School in Nakaseke District. 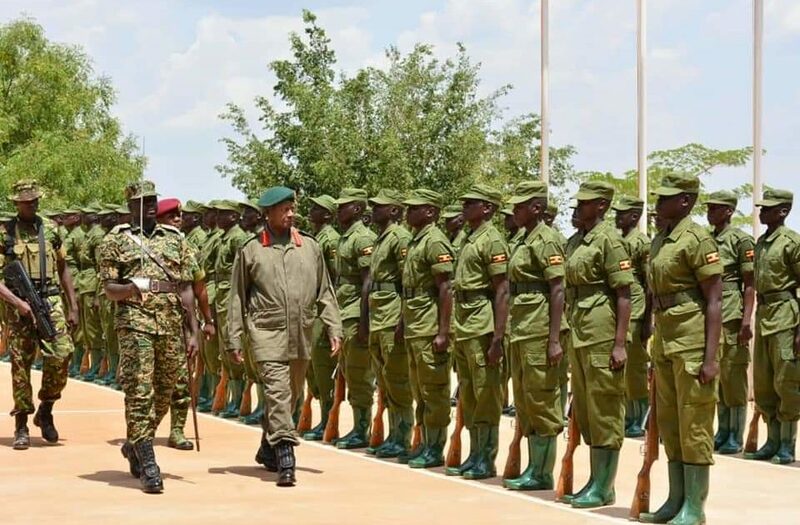 President Museveni noted that UPDF managed to defeat rural terrorists like Lord’s Resistance Army, Allied Democratic Front, and eliminated cattle rustling in the Karamoja region but is now left with fighting urban crime. He, however, observed that some security measures to improve urban insecurity like the installation of security has already taken off. He said that the idea of recruiting LDU trainees to beef up security most especially in the urban areas is an affordable formula in defending the country since it will employ the youth. 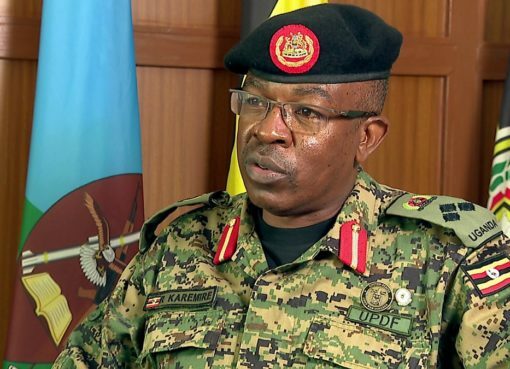 He added that very soon it will be impossible to commit any crime in Uganda and you go unpunished since the Army has got the necessary strategic elements which take time to build and should be protected. “Nobody can bring insecurity to Uganda, we have the capacity to defend ourselves and guard peace,” said the President. The President urged the fresh LDU trainees to serve diligently once deployed and avoid reckless habits like overdrinking and smoking marijuana, saying these are bad habits that weaken ones health and often impair judgement. He thanked parents for allowing their children to join the fight of stabilising Uganda by serving as LDU trainees for growth to take root. He promised to support the fresh graduands with business skills when they go back to the reserve Force. The Chief of Defence Forces Gen David Muhoozi thanked President Museveni for his unwavering guidance in stabilising Uganda. He noted that the LDU trainees will work with other security forces to fight urban crime, which has already significantly reduced. “The Army’s involvement in fighting urban crime has already disproved pessimists since the vice has declined,” said Gen Muhoozi. The Commandant of the Training School Brig Charles M Byaruhanga commended the UPDF leadership for all the support towards training the LDU trainees and urged the graduands to put the mission before personal needs for the country to remain stable. Six Thousand Two Hundred Thirty Nine (6239) LDUs were Passed-Out, 485 being female. The best Overall student was Sekizivu Swalley, best in range shooting was Ochen Denis while the best female student was Namukisa Christine. They received gifts from the school in recognition of their excellent performance. The pass-out ceremony was also attended by the Minister of Security Gen Elly Tumwine, Chief of Defence Forces Gen David Muhoozi, Deputy CDF Lt Gen Wilson Mbadi, UPDF Joint Chief of Staff Lt Gen Joseph Musanyufu, Deputy Inspector General of Police Maj Gen Muzeyi Sabiti, Resident District Commissioners from the recruiting districts of Luweero, Mukono aand Wakiso, religious and local leaders, among others.